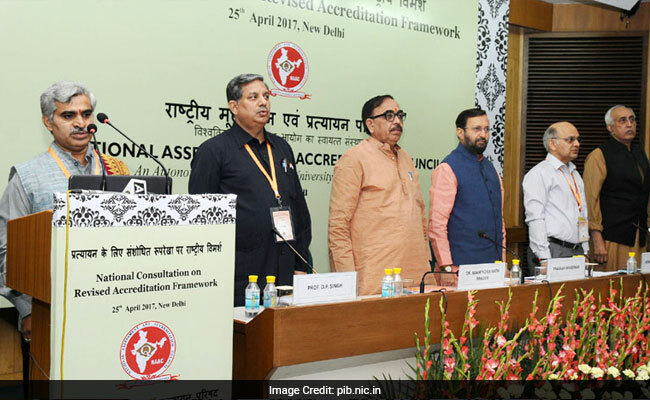 New Delhi: Union Minister of Human Resource Development Shri Prakash Javadekar today inaugurated the one day National Consultation on Revised Accreditation Framework here in New Delhi. At the event he emphasized the importance of quality education and said that accreditation process or any certification or assessment process must also take into account the final product of it. While subject knowledge is one end of the spectrum, the delivery of subject knowledge, infrastructure and building skill component in a student comprise the other spectrum. He said that the aim of education should be to build a good human being and only that kind of education could be termed creative which is capable of doing so and hence it should also be checked whether the parameters of intention, policy and schemes are getting reflected in the very institution. 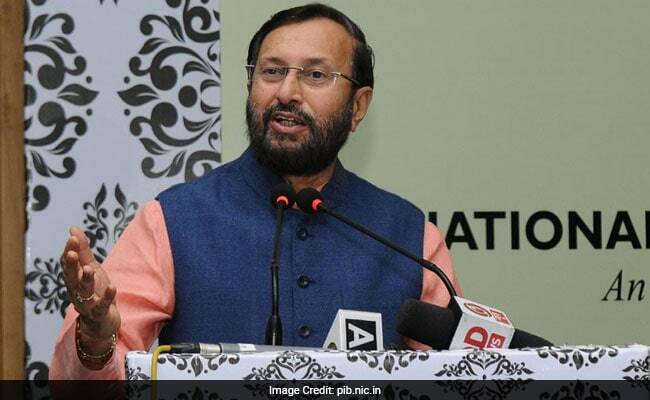 Prakash Javadekar also applauded Minister of State Dr. Mahendra Nath Pandey's observation and emphasized to think of education in totality and said that it must reflect in the ranking of institutions. He added that the quality of education imparted by any institution will be reflected in its adaptability to change. Pointing to the trend seen in recent times where institutes cited their NAAC ranking and certification which helped students in making an informed decision, he said that institutes have now started including their NIRF rankings as well. He said that with more emphasis on quality of education, students cannot be misguided anymore. He said complete transformation of education is a dire need now. He advised NAAC authorities to expand its team in order to make inroads into reaching out more and more institutions. He also stressed upon the cross checking of data collected and ensure sanctity and authenticity of Data Base created in this area. The Minister said the system created for this purpose must be transparent with clear cut rules and regulations and there should be no scope for fraudulent means. He hoped that today's deliberations will pave way for a new transparent accreditation system. He also emphasized on the use of Aadhar linking to avoid any malpractices. The Minister also suggested for having more than 4-5 agencies for issuing rankings of higher education institutes as it will give more credibility. 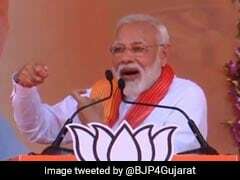 He also informed that in then forthcoming meeting fo the IIT council on April 28, apart from other issues it will also be discussed if IITs can also have a say in granting accreditation to institutions. Shri Javadekar said "If we want to reach institutions in a time bound manner and assess them properly we need more valuators and therefore we want to build at least 3-4 more institutes and we should also give a message to institutions in this regard". The minister said the new ranking assessment system being chartered today is very important and urged the participants to complete this process in next three months preferably before next Independence Day. Today's meeting was also addressed by MoS HRD Shri Mahendra Nath Pandey and Secretary Higher Education Shri K.K.Sharma. The National Consultation is being organized to discuss the revised Accreditation Framework developed recently by the NAAC. The main focal points of the revised framework are augmented use of technology, greater objectivity, and transparency of the process. Working groups of experts have deliberated and developed the formats for universities, autonomous colleges and affiliated colleges. The outcome of pilot study to validate the framework and feedback by stakeholders will also be considered in National Consultation. Approximately 100 experts comprising of eminent educationists, current and former Vice Chancellors / Directors, Statutory Bodies, Academics, Principals of Colleges will participate in the National Consultation. The inputs of the National Consultation would be used to fine-tune and finalise the revised Accreditation Framework which is slated to be launched from July 2017.